David Krut Bookstores in Johannesburg and New York, is the go-to site to buy art books in South Africa as well as the United States. Our bookstores evolved from small visual art support venues to very busy interactive spaces connected to our art galleries and etching workshops. We may have started as a humble distribution point for our own publications – the TAXI Art Book Series and further titles on South African artists – but have expanded to offer a very wide range of titles on all aspects of creativity, important non-fiction and definitive knowledge titles. Here we offer you a convenient online portal through which you can peruse and order any of our books. You will also find information on our events in Johannesburg which relate to our books, artists and our arts activities. Although we love the ability to reach out as far as the web allows us to, along with the extra reach this gives our art books, we are still very appreciative of the quiet luxury of paging through exquisite books in our calm, relaxing bookstore venue surrounded by a tranquil garden. Please drop in to explore our shelves to see what we mean for yourself. We are on a mission to support the arts, and especially arts literature that we are keen to share with you, and sure we that we will have a few valuable treasures to offer you. 151 Bookstore, situated at David Krut Bookstore in Parkwood. Our bookstores specialise in books on art and arts-related subjects as well as a range of other books (Online Shopping Available). 151 Framing Studio, situated at David Krut Bookstore in Parkwood, is our latest project into the exciting world of framing which promises a best-of-breed framing service to our clients. 151 Venue Hire, situated at David Krut Bookstore in Parkwood, allows you to hire the space for your own function. Whether you are looking for a space for your upcoming meetings, workshops and seminars, or film shoots, our bookstore and archive gallery could be the perfect location. David Krut commenced the publishing activities with a CD-ROM on William Kentridge in 1997. In 1999 Krut was approached to publish a series of monographs on South African artists who had a well-established career, but who had never a book published about their work. The TAXI-ART BOOKS SERIES were published together with an educational supplement with a focus on helping educators teach about artist in South Africa. There was no resource material at that stage, so the TAXI-ART BOOKS SERIES became a standard reference for art teacher at high schools and tertiary intuitions. The taxi series was completed in 2009 with 15 books in the series. Besides the TAXI-ART BOOKS the publications included books on William Kentridge, Gary Schneider, Johannes Phokela and Stephen Hobbs. 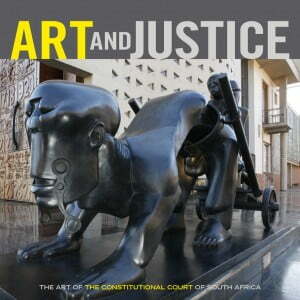 The major series was the involvement with judge Albie Sacks in the publication of the two historic books about the new Constitution Court in Johannesburg, Light on a Hill and Art and Justice.